The news means that Percona now offers support across the entire open-source database ecosystem, including the entire LAMP stack (Linux, Apache, MySQL, and PHP/Python/Perl), providing a single, expert, proven service provider for companies to turn to in good times (always best to be proactive) – and during emergencies, too. Last week I wrote up my thoughts about the Percona acquisition of Tokutek from the perspective of TokuDB and TokuMX[se]. In this third blog of the trilogy I'll cover the acquisition and the future of the Fractal Tree Index. The Fractal Tree Index is the foundational technology upon which all Tokutek products are built. A few days ago I wrote up my thoughts about the Percona acquisition of Tokutek with respect to TokuDB. In this blog I'm going to do the same for TokuMX and TokuMXse. And in a few days I'll wrap up this trilogy by sharing my thoughts about Fractal Tree Indexes. Again, when I'm writing up something that I was very involved with in the past I think it's important to disclose that I worked at Tokutek for 3.5 years (08/2011 - 01/2015) as VP/Engineering and I do not have any equity in Tokutek or Percona. Since much of the MySQL crowd might be hearing about Tokutek's "other products" for the first time I'll provide a little history of both of the products before I dive in deeper. At Percona we have been working with the Tokutek team since 2009, helping to improve performance and scalability. The TokuDB storage engine has been available for Percona Server for about a year, so joining forces is quite a natural step for us. 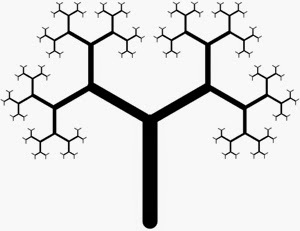 Fractal Tree indexing technology—developed by years of data science research at MIT, Stony Brook University and Rutgers University—is the new generation data structure which, for many workloads, leapfrogs traditional B-tree technology which was invented in 1972 (over 40 years ago!). It is also often superior to LSM indexing, especially for mixed workloads. In Mo’ Data, Mo’ Problems, we explored the paradox that “Big Data” projects pose to organizations and how Tokutek is taking an innovative approach to solving those problems. In this post, we’re going to talk about another hot topic in IT, “The Cloud,” and how enterprises undertaking Cloud efforts often struggle with idea of “problem trading.” Also, for some reason, databases are just given a pass as traditionally “noisy neighbors” and that there is nothing that can be done about it. Lets take a look at why we disagree. The next release of MongoDB includes the ability to select a storage engine, the goal being that different storage engines will have different capabilities/advantages, and user's can select the one most beneficial to their particular use-case. Storage engines are cool. MySQL has offered them for quite a while. One very big difference between the MySQL and MongoDB implementations is that in MySQL the user gets to select a particular storage engine for each table, whereas in MongoDB it's a choice made at server startup. 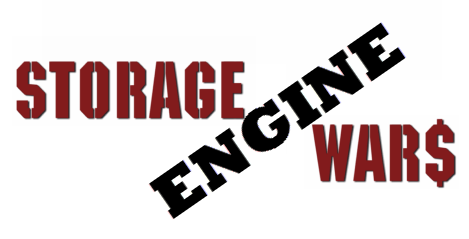 You get a single storage engine for everything on the particular mongod instance. I see pros and cons to each decision, but that's a blog for another day.